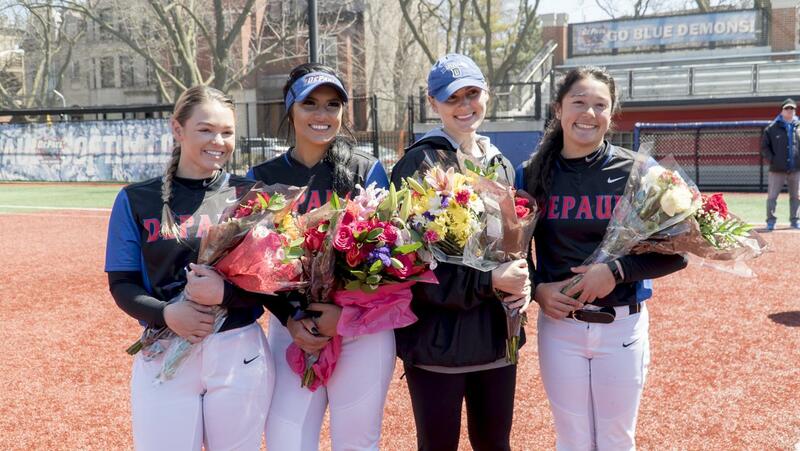 It was a bittersweet day for all involved as DePaul finished off a sweep of Butler with a 9-3 victory Sunday afternoon before honoring their four seniors Haydn Christensen, Kennedy Garcia, Kayla Landwehrmier and Megan Leyva following the game. 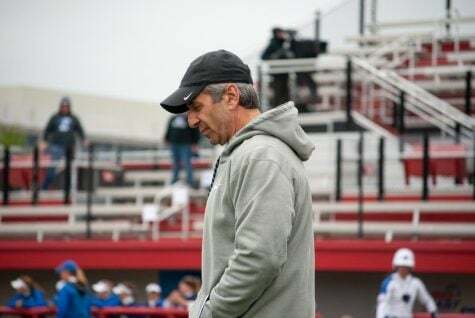 DePaul head coach Eugene Lenti said senior day is always filled with mixed emotions because of the time spent helping players grow both on and off the field, but added he’s proud of what they’ve contributed in their time on campus. 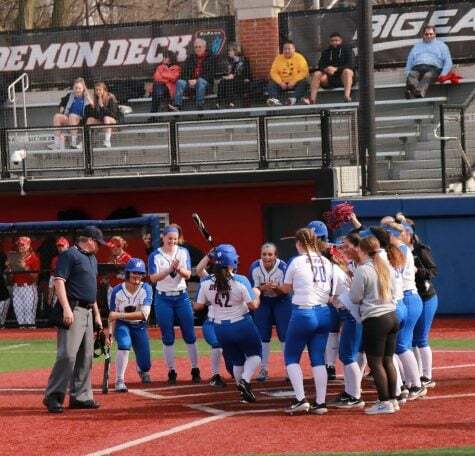 On the day DePaul honored the four seniors, it was sophomore center fielder Angela Scalzitti who delivered a big grand slam to cap an eight-run third inning for DePaul. 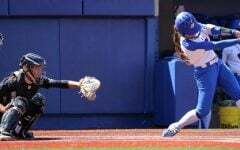 Lenti said he was pleased to see Scalzitti come through in a big moment, and showing her game evolving. 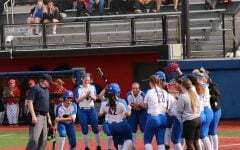 The grand slam gave DePaul a 9-2 advantage after Butler grabbed the lead on a home run in the second inning by Claire Gilliland. 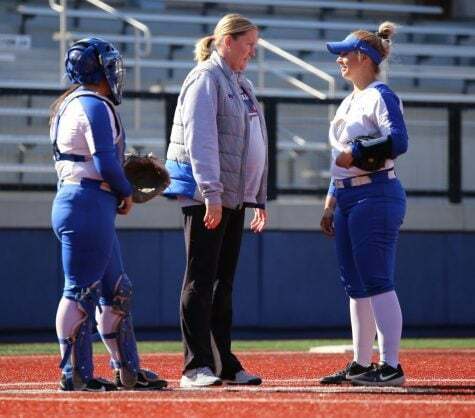 Christensen said she was proud of how the team overcame some early deficits this weekend, especially with the conference tournament approaching. 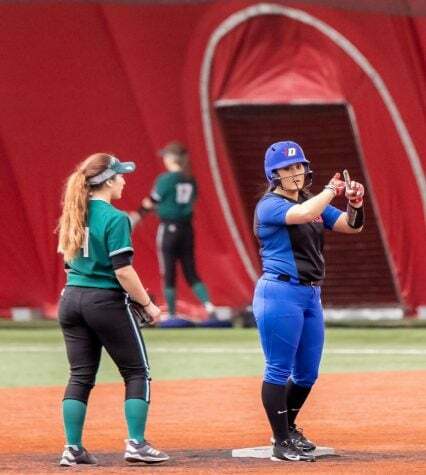 Sunday’s starter Garcia said she battled some nerves early on, but said this was a big win both personally and for the team in a close conference race with Creighton. 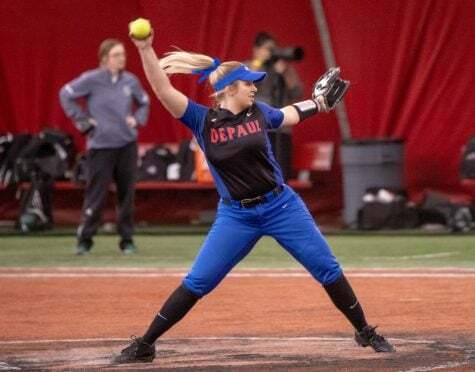 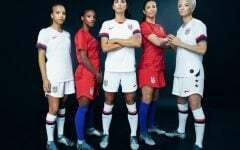 Garcia, who joined DePaul after two years at Phoenix College, said leaving her teammates behind after two seasons is a similar feeling to the one she had in junior college. 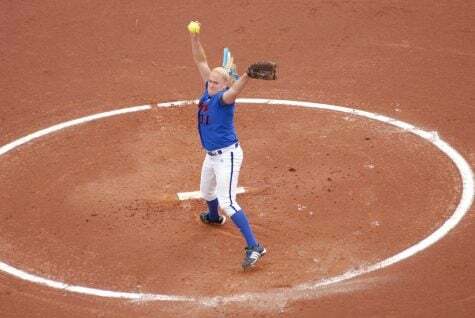 Christensen echoed Garcia’s appreciation for the school and said she’s excited, but sad for the next chapter of her life that for the first time since she was a child won’t include softball. 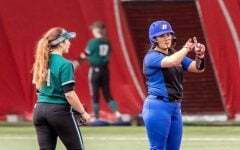 With the win, the Blue Demons extended its winning streak to five games, while Garcia picked up her sixth win of the year allowing just two earned runs on four hits while striking out five Bulldogs. 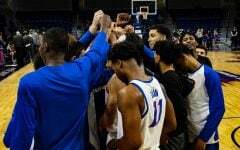 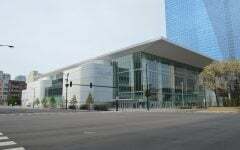 DePaul’s marathon homestand, that lasted over a month after their road game at Creighton was cancelled due to weather, comes to a close Wednesday with a home game against crosstown rival Northwestern. 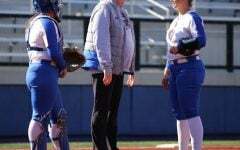 Lenti said the team will use that as an opportunity to continue getting sharper in all three phases after making four errors in three games against Butler. 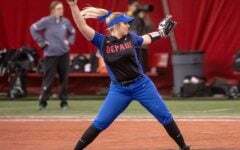 Last season, the Wildcats blanked DePaul 8-0 in a game that got away from them in the sixth inning.